There are some considerations when moving to the Costa Blanca with children. Moving to a new home in a different country is always challenging but eventually you will find that it was easier than you expected. Here are a few tips that can be useful during the transition or that can even help you make the decision. And remember, excess worrying will take you nowhere. Before moving, do some research on your new Costa Blanca town's local amenities and events. Arrange for something exciting for your kids to enjoy when they arrive. If you move to Spain while your children are still acquiring their language skills, they will be learning the language with other Spanish toddlers. Kids can pick up new languages extremely quickly at a young age. Some children might need additional Spanish lessons but they will soon adapt to the language, and you can practice your Spanish together. If you can communicate in Spanish, talking to the local parents is an excellent way to find out about the best schools for your children in your new area. In Spain you can find state schools, private schools and international schools. If you manage to organise your move to the Costa Blanca before the next school year begins, your kids can begin school in Spain at the start of the semester. 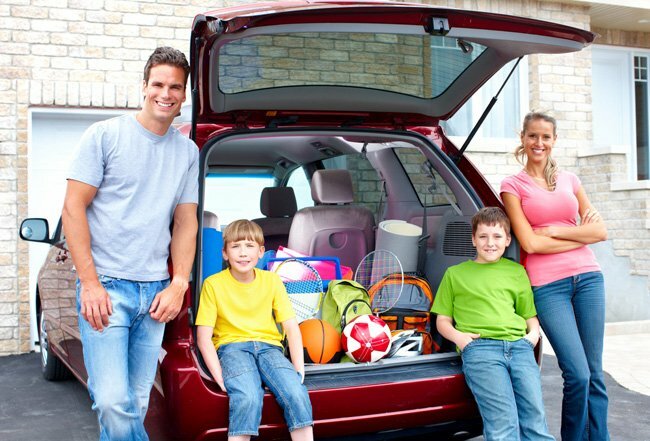 Moving during the holidays is also a good idea as it allows you to spend time with your child, exploring the new area and visiting the local attractions for children. You should encourage your children to spend time with Spanish children playing outdoors, they will make friends very quickly. We are sure you will not regret bringing your children to Spain. Both you and they will love the Spanish way of life!